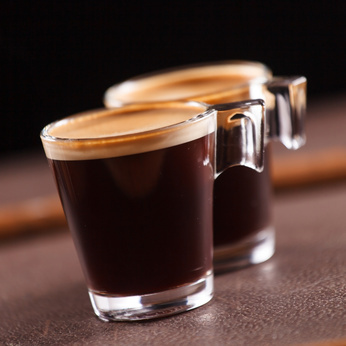 The Espresso Shot Glass is there to present the espresso or coffee variations better. An espresso is not just a plain coffee which is served in a regular coffee cup – the espresso stands for a whole culture and living the Italian way of life – socialise, relax and celebrate. Espresso becomes more and more popular in the United States. In Italy drinking, preparing and serving espresso is a part of the Italian culture. But in the United States often espresso is prepared and presented not in the best way. As you might have seen as well, espresso is served in plain cappuccino cups which are way too large – that’s why the espresso is not hot when served or is served without the right espresso spoons and a sugar bowl. No matter if you go to the restaurant or brew your espresso at home – you want to have that special experience and taste. Having espresso in an espresso shot glass opens up a new way of drinking coffee, just try it with the following best espresso shot glasses that we reviewed or have a look at our Full List of Espresso cups.